Stealthy Wealth: Why Are South Africans So Bad With Personal Finance? Why Are South Africans So Bad With Personal Finance? It’s an interesting question right? But maybe before diving in, we should discuss the validity of the question. So, are South African’s bad with their finances? Well a quick glance at the media and some recent research reports seems to indicate that South Africans are not doing the right things when it comes to debt, saving, investing for retirement, and by extension, their personal finances in general. Only 11% of employed people pay their credit card in full at the end of the month, and 48% of people with credit cards pay the minimum instalment only. If the average active fund member continued contributing to their retirement fund at their current rate until they retired, they would only earn an income equal to about 40% of their last salary in retirement. More than half of working South Africans said that unexpected expenses of R10 000 would force them to take out a personal loan, rely on credit facilities or borrow from family or friends. Pretty grim stuff! I think it is fair to say that, country wide, people are generally struggling to do the right things? Personally, I have had a number of thoughts on this. My latest theory requires a quick diversion back to my high school days (don’t worry I won’t be providing any details on my first spin the bottle experience). Back in high school, I recall a common complaint that many pupils would have – something that I would hear (and even complained about myself) every year from when I was in Grade 8 all the way through to Grade 12 (for all you spring chickens we used to call it Standard 6 and Matric back in the day). I recall discussing it with a friend of mine once, and I even mentioned that maybe one day we would walk up to the bakery counter ask for x2 + 3 rolls. (Naturally the person behind the counter would reply that x is equal to 3). 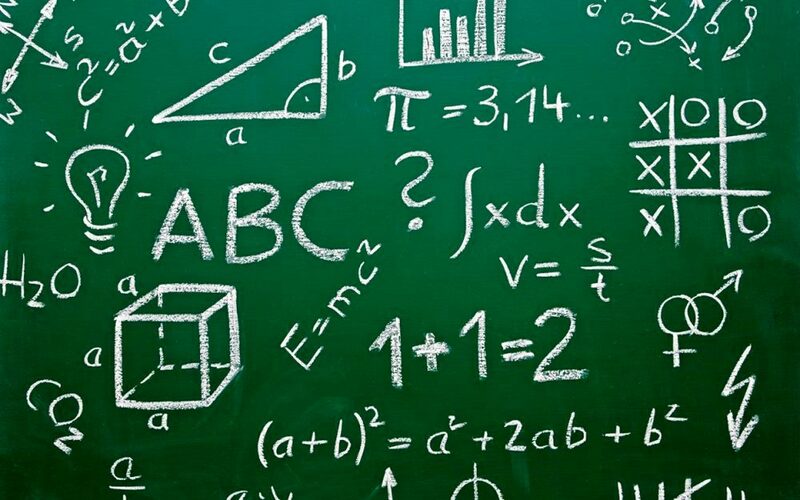 I didn't have a choice, and my father forced me to take Maths once it became optional in Grade 10, but could it be that this line of thinking lead to many of my fellow students dropping Maths once it became optional? Either way, stats show that only 42% of 2014 pupils took Maths in Grade 12 (according to this article). And of course if you take that as a percentage of people who started Grade 1 but never made it to Matric, we are left with a country that has really dismal Maths skills. So this brings me to another thought - could there possibly be a link between the lack of Matric Maths pupils and the general population’s poor financial decision making? Personally I think the link may be more pronounced than many realise. You see there is something common to a lot of the personal finance topics which people seem to struggle with. Things like Debt, Investing, Saving and Inflation all have a common thread - in order to understand the benefits and pitfalls of all of these requires an understanding of compounding. Could it be that this lack of understanding of compounding is related to the poor debt and investment figures in South Africa? And maybe the reason for this lack of understanding of compounding is due to the fact that compounding is an exponential function, and exponential functions are taught in high school Mathematics? Could it be that better Maths throughput might possibly improve the general populations financial skills? I decided to package this train of thought into a tweet and a pretty picture, and pose it to some of the South African personal finance thought leaders and the Twitterverse in general. There are people who just spend money, and there is nothing they can learn which will change their mindset. It’s an interesting thought, and one which makes a lot of sense to me. And it even extends further than the simple link between exponential functions and compounding, because in my view Maths teaches you skills beyond solving just the problems given in an exam paper or assignment. Maths teaches you to think, to reason, to deduce and ultimately to solve problems, and choose optimal solutions. These are skills which are extremely useful when it comes to not only personal finance, but just about all areas of life. Might be onto something here? Anecdotally a lot of people are of the view that we need to be teaching financial literacy in school and/or University level. This is definitely something that has crossed my mind as well (tweeted about it here). I mean the answer to everyone's personal finance questions has existed for over two decades already, and yet people still don't seem to be getting it right? So maybe a financial literacy course would help? Anecdotally I have seen proof of this here in good old South Africa – if you listen to the Just One Lap, Fat Wallet podcast (which you really should be doing! ), a hugely disproportionate number of listener questions come from people who have occupations in fields which require strong Mathematical backgrounds – engineers, doctors, etc. Yes, financial literacy probably should be taught at schools, and it would certainly make a difference, but I still can’t help feeling that this again comes back to improving our Maths throughput…By taking care of the Maths, we may not need to explicitly teach Financial literacy? Maybe, maybe not? This is why personal finance is so hard. The biggest issue here is that the emotion force and the logic force almost always pull in different directions! I'm not saying that we need to eliminate the emotion out of our financial decisions (that would be impossible) but perhaps the problem is that the balance between the two is not right. Many people end up putting themselves at a massive disadvantage by allowing too much emotion and not enough logic into personal finance decisions. This makes me wonder, if the logic part of decisions became clearer, and there was a better understanding about the numbers around personal finance decisions, maybe the emotional force could be contained and a happy medium could be achieved? This point is best illustrated with an example where emotion is usually the biggest input into the decision – cars! Let’s say someone really wanted a specific car, with great acceleration, and curves in all the right places. If emotion dictates this decision, this person could well screw themselves over by buying a brand new car with all the extras, at a prime plus balloon finance deal. But if this person had even just a little bit of knowledge around the destruction of compound interest working against them, they may allow some logic to step into the decision. Maybe a compromise would be reached where they would get the car they like, but choose a second hand model, on normal finance, and drive it for many years after it has been paid off. Suddenly they are debt free plenty of years earlier, and hundreds of thousands of rands better off! Often a little understanding around the numbers results in a significantly better outcome. Maybe we need to allow logic to have a little more of a say in our personal finances? Again I get the feeling that this all comes back to Maths again? Maybe, just maybe this is something which can be improved by more people knowing about x’s and y’s…. Many people will jump at the opportunity to give examples of how this is not the case. So maybe there is some truth in this, in which case it doesn’t really matter how much Maths, Financial Literacy or anything else we throw at them, nothing is going to help right? So let’s park this one there. If you have made it this far into the article, then you have endured me spewing my thoughts across your screen while you patiently read and said nothing while forming your own thoughts and opinions. This could well mean that this article and my reasoning makes you believe I am smoking some (now-legal) good stuff. So I encourage you to disagree. This article is probably only scratching the surface of what is really going on on the ground. Bad finances is not something that is going to be fixed overnight by doing only one thing, and the solution probably lies in a combination of some of the areas I mentioned above, combined with some aspects I haven’t even thought of, let alone mentioned in this article. I would love to hear what you guys think is the biggest driver behind people in South Africa being so bad with their finances? Please share your thoughts in the comments below, I am really looking forward to what you have to say.